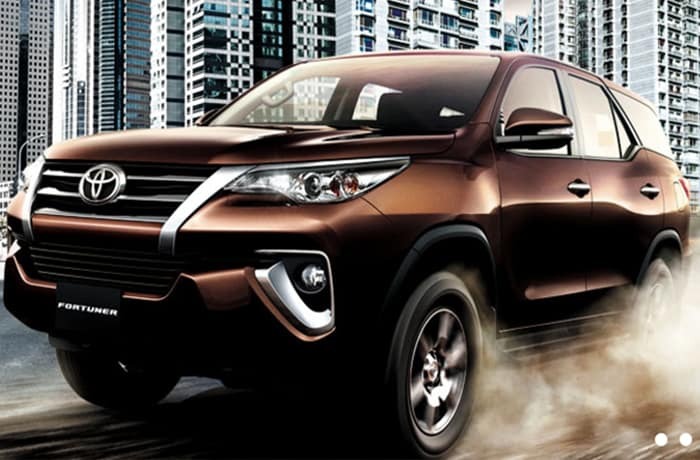 Did you know that the new SUV - Toyota Rush - has amazing off-road performance? 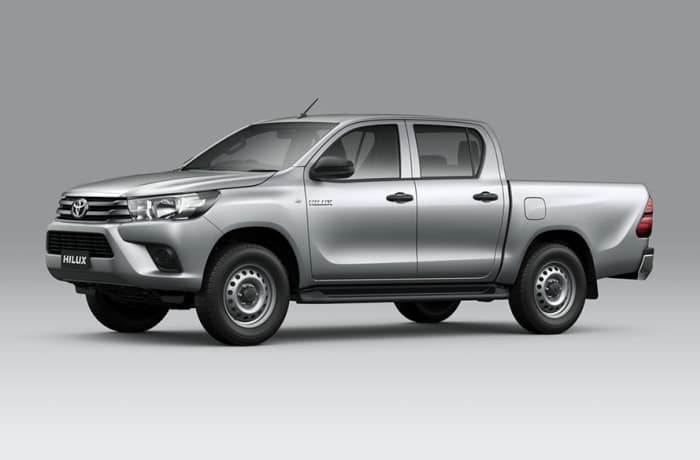 Toyota Zambia work closely in partnership with its customers, ensuring that each has their own dedicated sales consultant to help tailor our offer precisely to their company's business needs. This company has an extensive retail network and dedicated business centres that offer many extras, from extended opening hours to expert advice. It's all part of being a company truly committed to quality with the product, the people and the services required to meet every business customers' needs, leading to a positive experience for both fleet decision-makers and drivers. 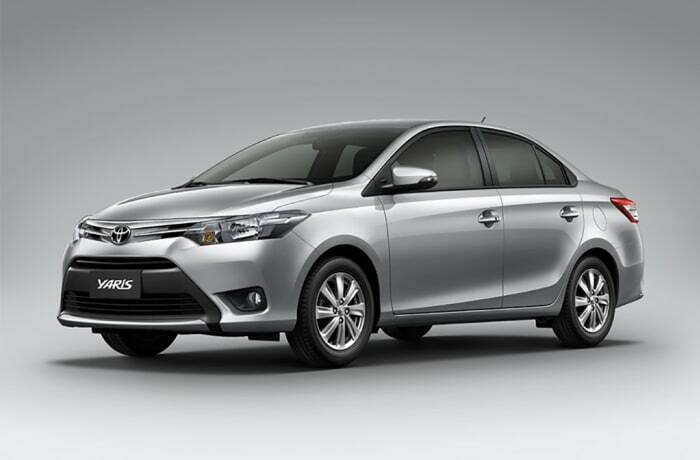 With its dynamic exterior design and a broad choice of new models, there's a Yaris to fit your personality perfectly. 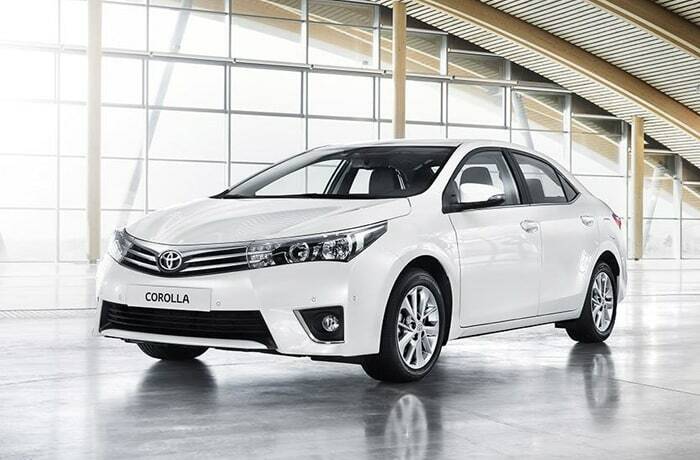 Its responsive, rewarding drive always inspires confidence, making it instantly at home in the city. Yaris provides a new take on urban driving, leaving you feeling refreshed and energised, and all of this experienced from within an interior of eye-catching quality. 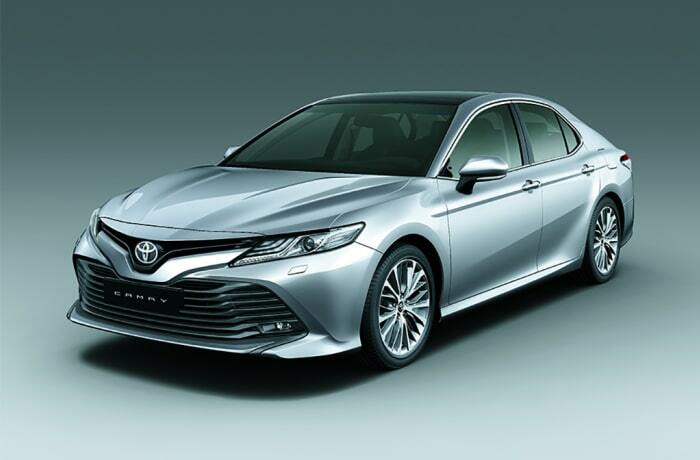 The Camry has been designed with bold lines, this makes it truly your ideal vision of elegance and stylish prestige-one that complements your powerful outlook. An incredibly stylish and rewarding space that is welcoming with each drive. It combines the ubiquitous sense of high quality expected of a prestigious vehicle with modern sculptural design, offering the luxurious sensation of comfort and complete control. 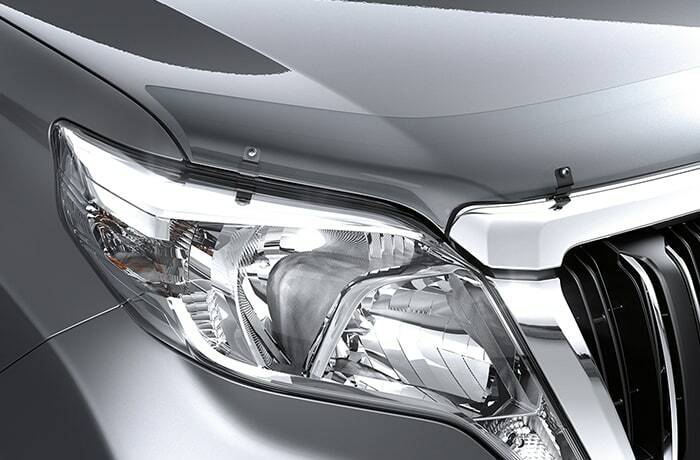 Powering the Avanza is an engine that provides excellent fuel efficiency with the right amount of power. 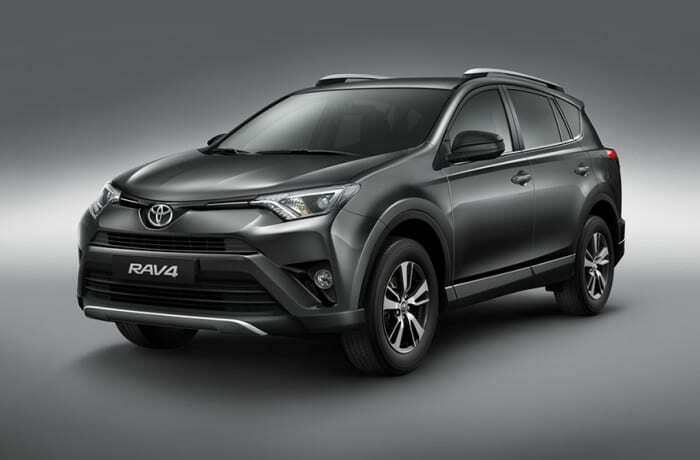 The RAV4 makes a statement about authenticity and self-expression. All Wheel Drive (AWD) capability and an integrated dynamic drive system deliver outstanding agility and enhanced control. The styling is smooth and contemporary, there's comfort for five and an easy access boot offers class-leading load space. 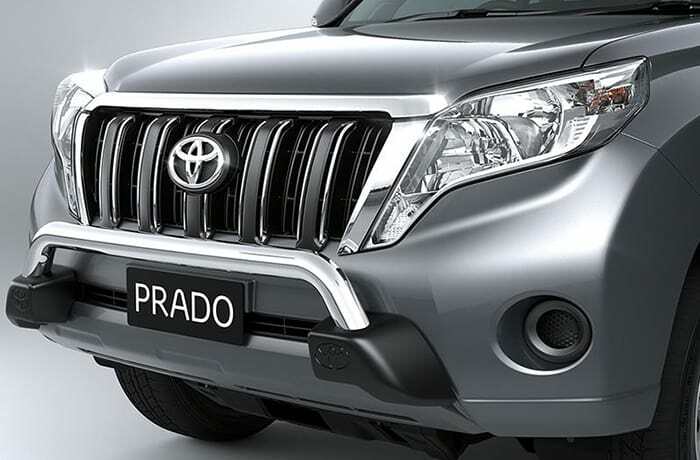 Engineered and evolved over 60 years, today's Land Cruiser Prado will take you from the heart of the city to the wilds of the country with style and comfort. 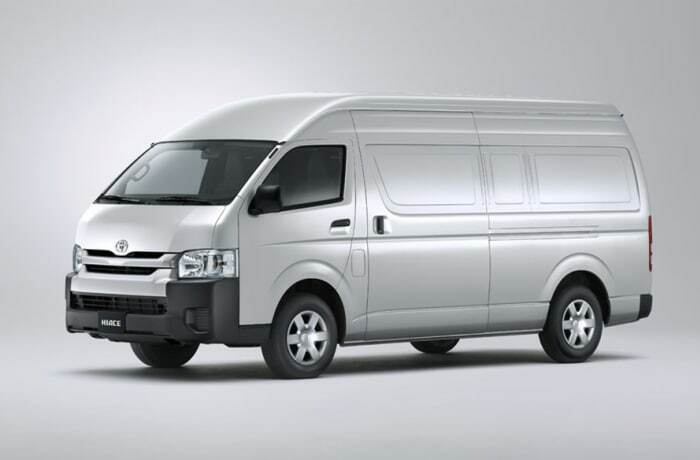 Its contemporary good looks combine with robust 4WD functionality and a high quality interior featuring fold-flat seating for maximum versatility. The Land Cruiser Prado's full time four-wheel drive and multi-terrain management system, makes conquering any landscape easy. This is the ultimate expression of luxury and capability. 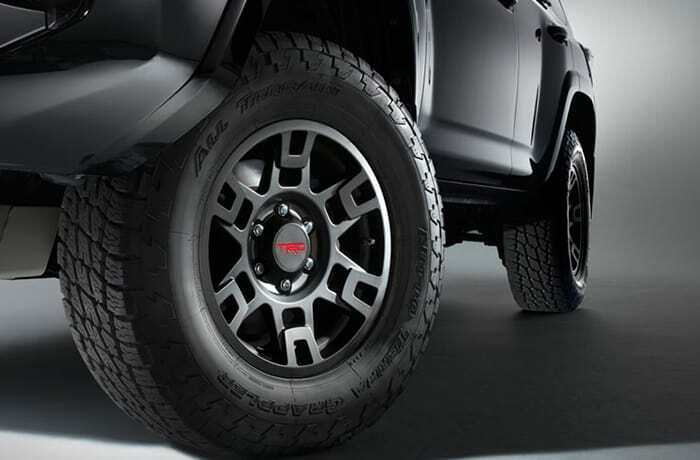 The redesigned 2016 Land Cruiser makes an impression wherever it goes with its legendary off-road prowess and bold new exterior details. 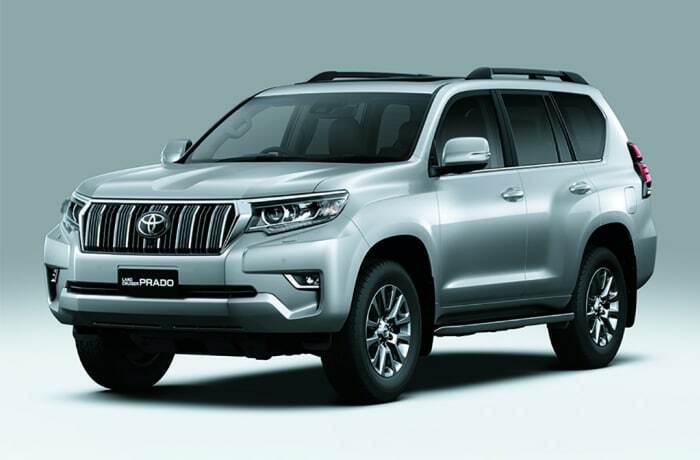 A revised front end, LED lighting and chrome side moldings with the Land Cruiser logo helps give this SUV an unmistakable presence. So whether you're traversing uncharted terrain, or enjoying a night on the town, you can be rest assured that you'll always arrive in style. 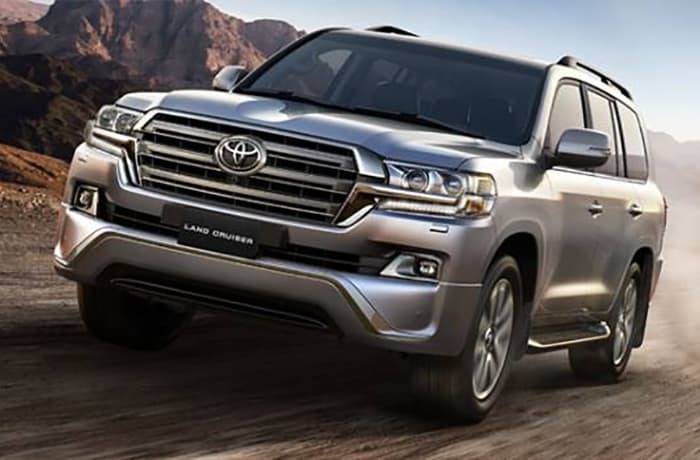 Land Cruiser's spacious cabin offers seating for up to eight and everyone can ride in comfort, luxury materials and high quality finishes are everywhere. 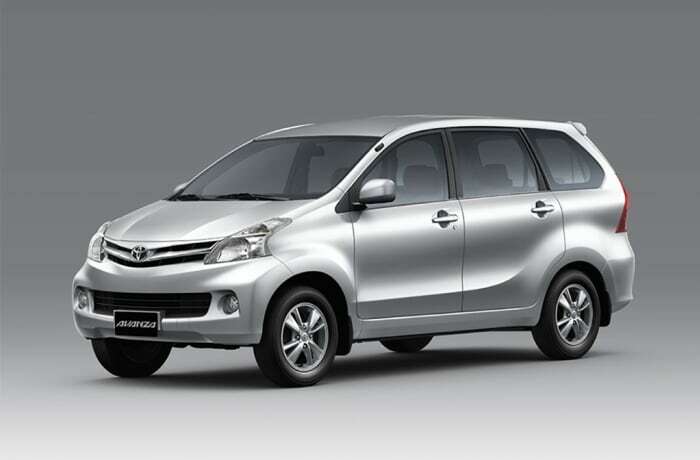 The Avanza goes big: big on space, big on style, big on fun. There's just so much to delight in. 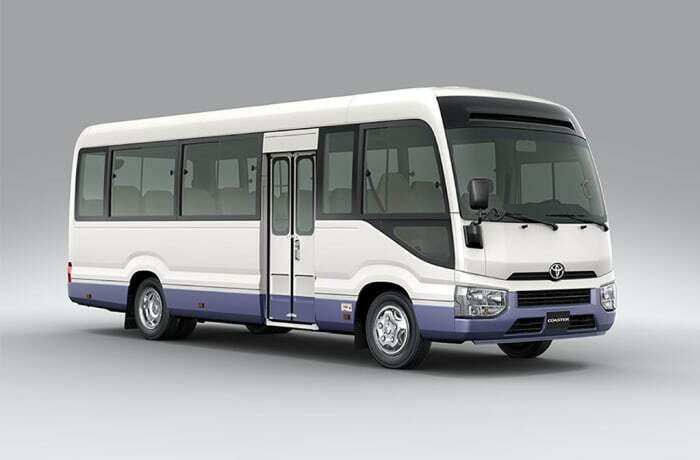 Its enhanced exterior is stylish and sleek, taking you from countryside to cityscape with ease. And with space for 7 adults, you'll never have to leave anyone out. 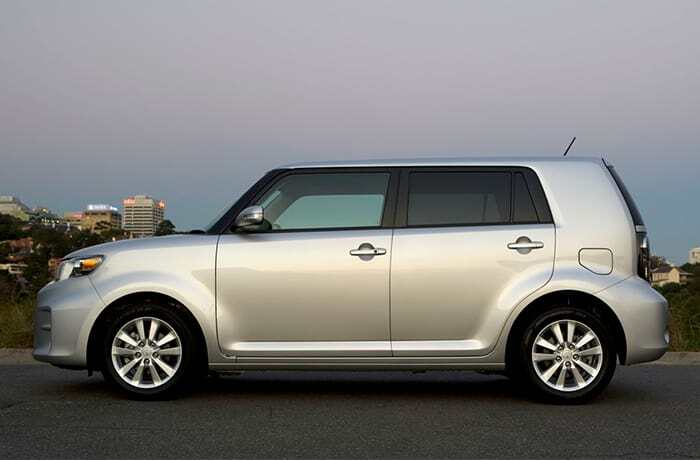 Fold down the rear seats and get a large cargo area for all the things you need to bring. The Toyota service centre gives you total confidence that everything is carried out to Toyota specifications, using Toyota approved parts. 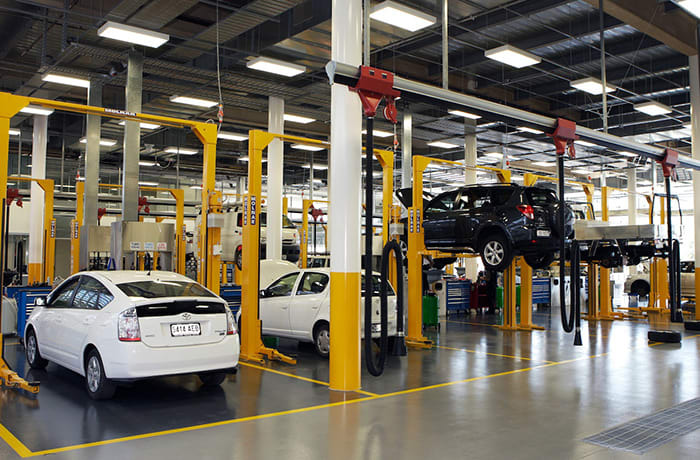 However, they can take care of all servicing and repair requirements for any make or model vehicle. 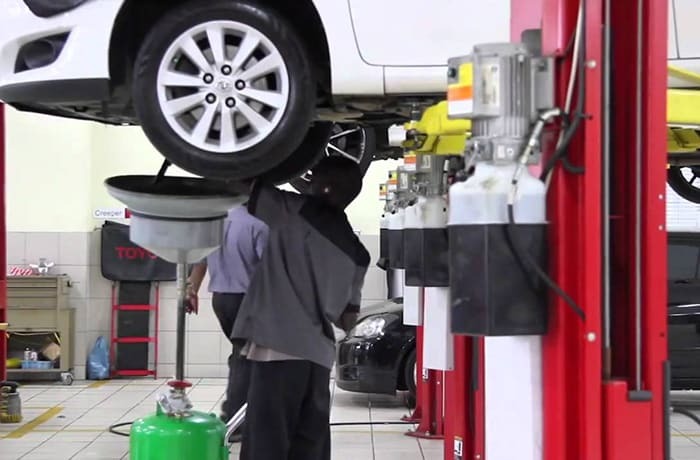 Toyota Zambia always aim to get your vehicle back to you by the agreed time and date-or before if possible. Once the service is completed, they will contact you to collect your vehicle and give you a full rundown of what they have done, and why, when you pick it up. 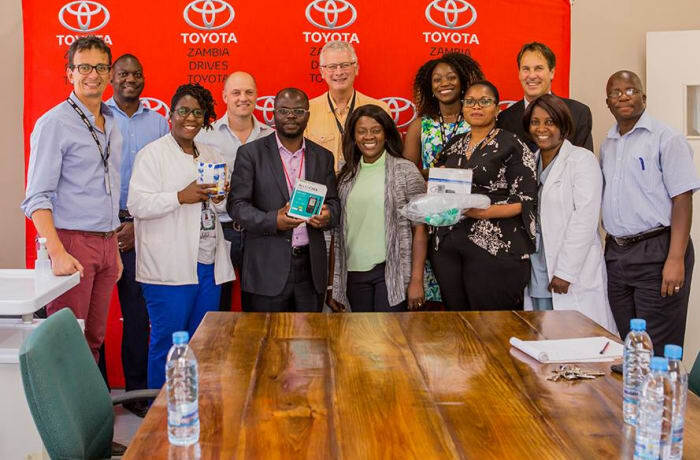 With a dynamic team of staff, the Toyota Zambia vehicle sales team is responsible for the selling of brand new Toyota vehicles and Hino Trucks manufactured both in South Africa and Japan. 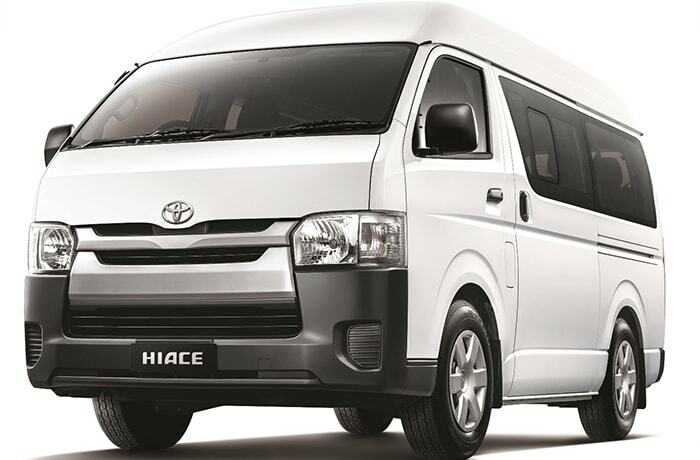 With a globally respected reputation for reliability and endurance, the Hiace Commuter combines functionally elegant design with a complete range of practical and convenient on board cabin appointments. From the driver's seat, you'll command a sweeping view of the road ahead, with all controls positioned for maximum convenience and operating ease. 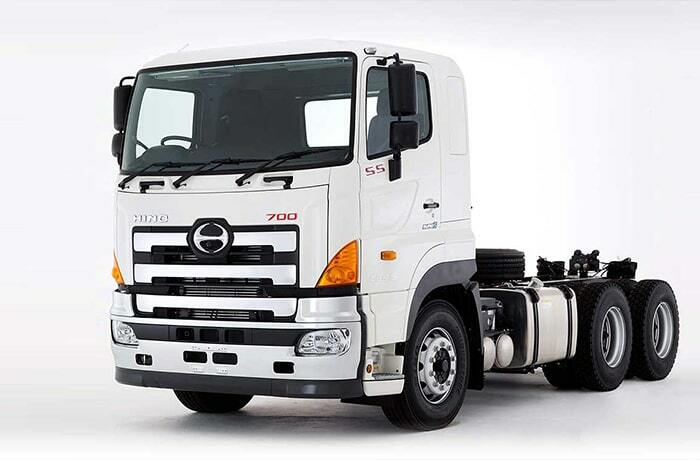 It's a command center that blends quality and user-friendly functionality for your everyday driving satisfaction. 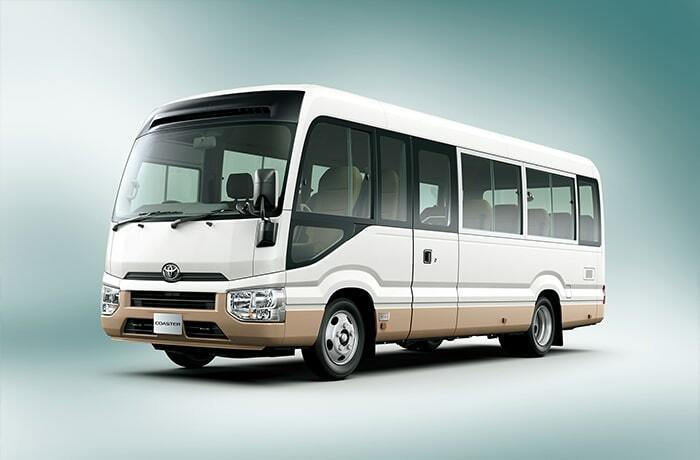 Toyota created a comfortable and roomy interior that everyone in the Coaster will enjoy. The ceiling is set high to ensure generous headroom and contribute to a feeling of spaciousness. Big windows were placed all around to create an atmosphere that is bright and airy. The large, functional seats were designed to be as comfortable as they are attractive, there is plenty of room to stretch legs as well. 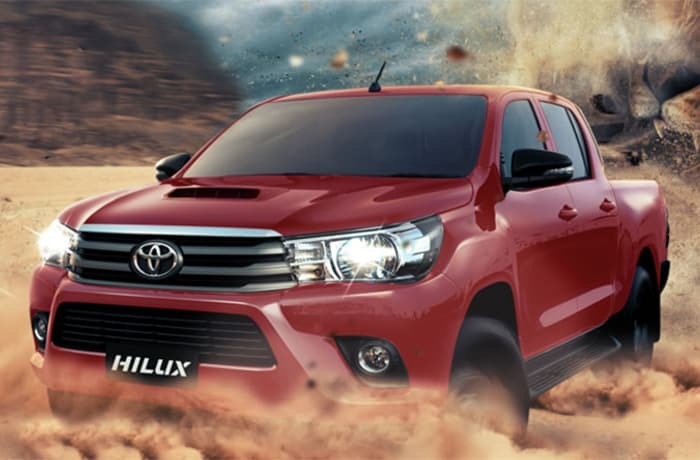 Toyota has released the toughest Hilux ever-a new-generation range that combines impressive global advances with extensive local development and evaluation designed to conquer the most severe operating conditions in Africa. 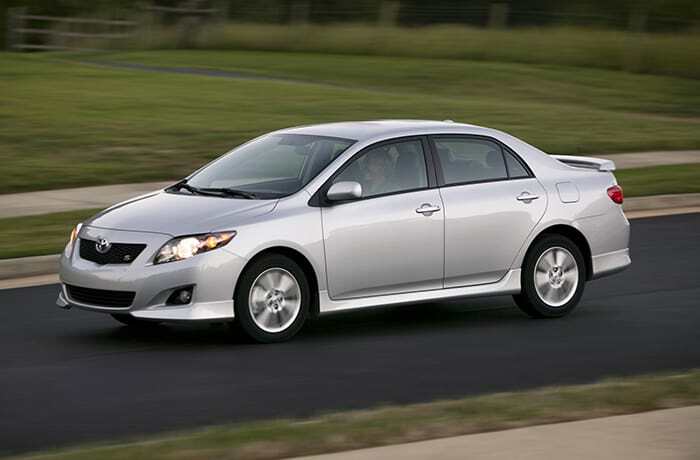 The Toyota reputation for quality is founded on the exceptional design, manufacture and drivability of their cars. This also extends to its genuine parts. They are made of quality materials and manufactured to the same high standards as the parts fitted to your car during production. For optimal performance and durability, the lifeblood of any engine is clean oil. Oil filters feature a dual-textured element that ensures effective filtering of particles and resists clogging. The filters also have a heat resistant, non-stick gasket preventing deformation and resultant leaking as well as durable check and relief valves preventing premature release of unfiltered oil and oil flow-back on start-up. Toyota genuine oil filters are designed to meet very specific fitment and filtering requirements and will ensure a constant supply of properly filtered oil to keep things running smoothly. With a unique triple-layered needle punch element, Toyota Genuine Air Filters are engineered to trap airborne contaminants, thereby preventing premature wear to internal components. Toyota Genuine Air Filters feature excellent sealing capability through the use of high quality materials that resist shrinking due to heat. Ensure consistent engine performance and optimal fuel economy through the superior filtering properties of Toyota Genuine Air Filters. Compromising on the engineering and production quality of safety critical parts could have very unfortunate consequences. By choosing Toyota genuine brake pads, you are guaranteed of consistent, fade-free braking in all conditions. 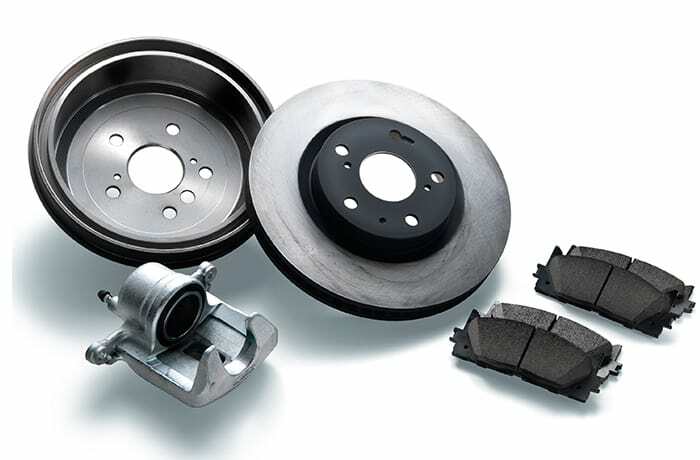 To prevent high frequency vibrations that cause brake noise, Toyota genuine brake pads feature an anti-skim shim. Through precision engineering of both pads and backing plates, Toyota brake pads will ensure even wear on brake discs and prevent excessive noise and vibration. Only genuine Toyota brake pads are designed by Toyota and manufactured specifically for your vehicle according to Toyota specifications and tolerances. The facing of a Toyota genuine clutch features grooves, preventing the clutch from getting stuck as well as dampers that are specifically engineered to absorb vibration, ensuring smooth starts and responsive acceleration. In addition to that, the hardened diaphragm springs are coated with chrome to prevent damage to the clutch cover. 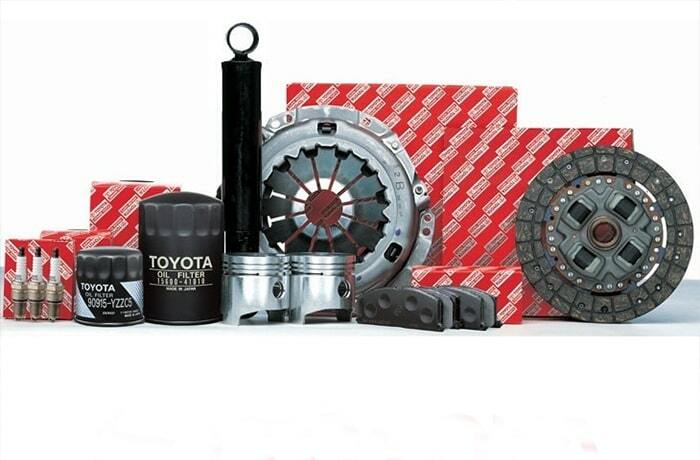 With the environment in mind, Toyota genuine clutches are made from asbestos-free materials. Ensure trouble-free motoring over the long run by insisting on a Toyota genuine clutch. Prolong the life of your Toyota and enhance its performance by using Toyota genuine motor oil-the lifeblood of your engine. Toyota genuine motor oil is formulated to the highest standards and specifications to keep your vehicle in tip-top condition. 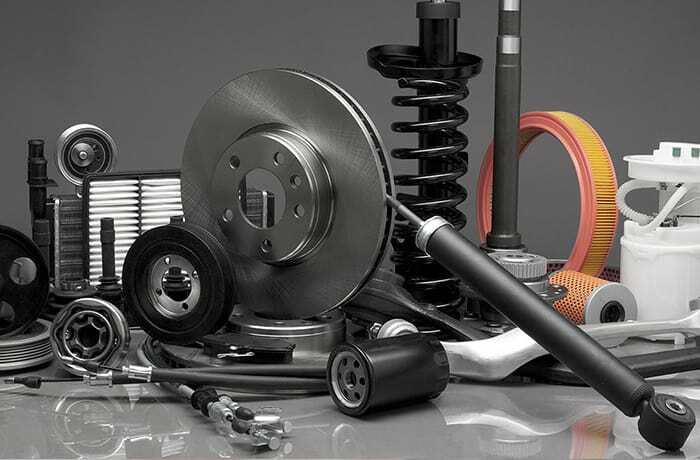 A variety of TGMO products are available, including engine, transmission and differential oil. 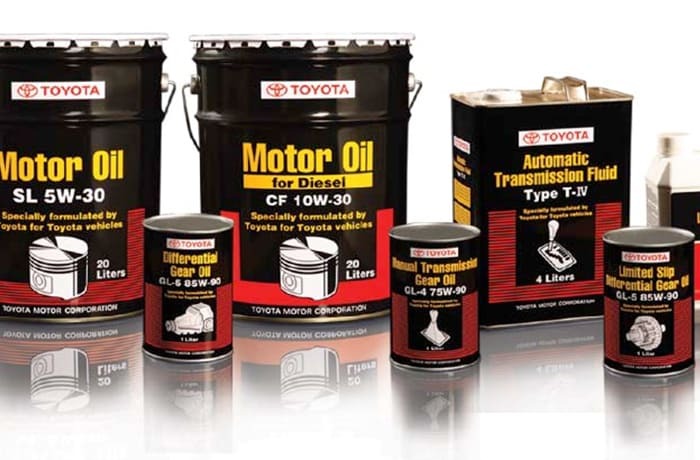 Why choose to use Toyota genuine motor oil? Toyota genuine spark plugs are designed and engineered to provide outstanding levels of performance and fuel economy in your vehicle. A resistor located between the centre electrode and centre axis prevents interference with on-board electronics. Furthermore the U-groove ground electrode optimises starting, acceleration, fuel economy and engine power. The use of quality materials and precise construction provides the spark plug housings with excellent thermal conduction, ensuring the correct ignition temperature. Lastly you can be assured that Toyota spark plugs are within the required heat range to guarantee consistent performance. When using Toyota genuine parts you know they've been designed to replace the exact part you require. This built-in performance and reliability gives you added peace of mind. 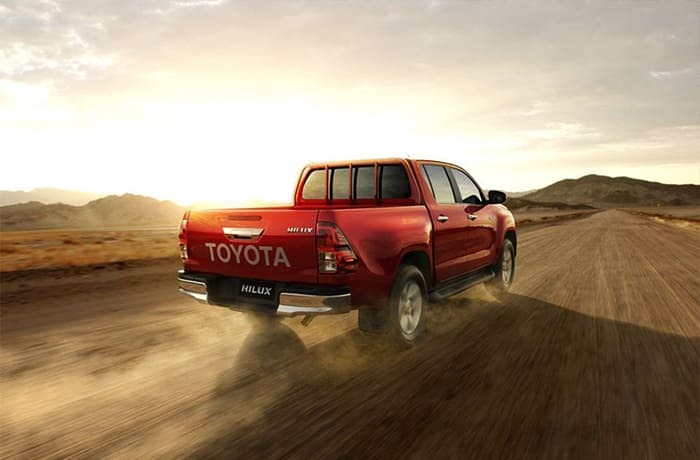 Toyota body parts are made from galvanised, high strength steel. They last much longer than non-genuine parts which are often made of low grade non galvanised steel. The Toyota body parts undergo extensive development and crash testing to ensure maximum safety in the event of a collision. 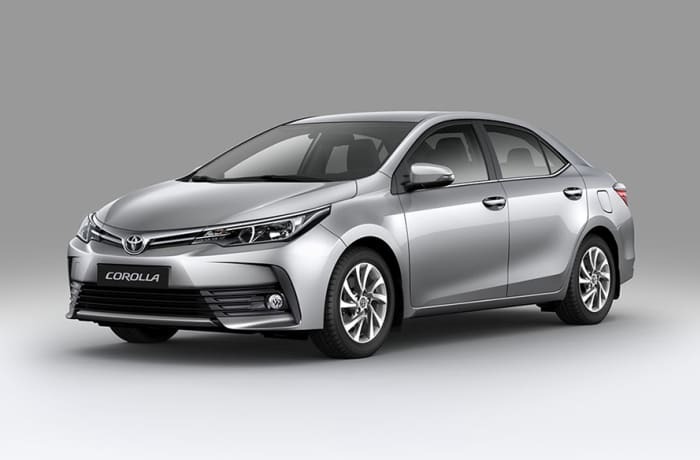 Toyota genuine air filter elements are multi-layered-rough inside and fine outside which allows them to efficiently catch particles of different sizes. Toyota genuine brake pads are specifically designed for Toyota vehicles ensuring balanced, stable braking in all temperatures. During manufacturing all Toyota parts undergo strict quality inspections. Toyota brake pads are carefully checked for proper clearance between the brake pad and caller to ensure smooth braking. These Toyota brake pads don't contain asbestos which is hazardous to the environment. 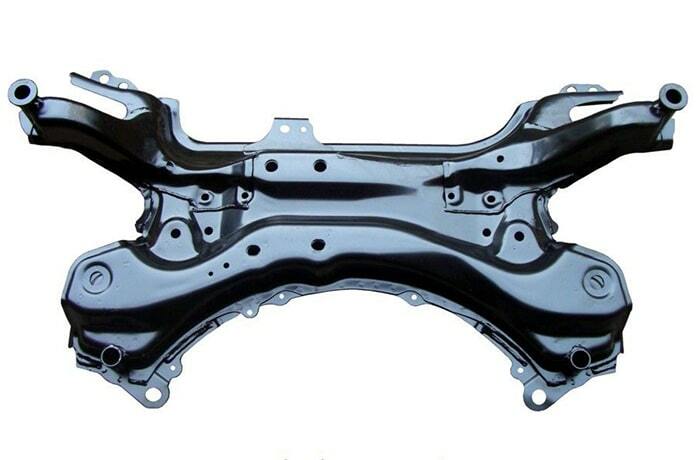 They also have finely processed anti- skim shims preventing high frequency vibration that causes brake noise. 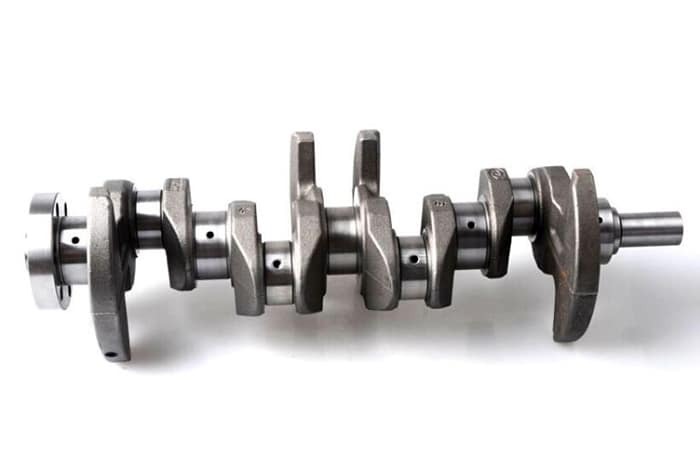 The facing on a Toyota genuine clutch has grooves, so the car runs smoothly, to increase durability the diaphragm springs are hardened and coated with chrome. Without this added protection, non genuine parts may bend or wear easily, shortening the life of the clutch cover and the life of the part. Specifically engineered for Toyota engines, Toyota genuine fuel filters ensure proper fuel flow and optimum engine performance. The fuel filters combine polyester and glass fibres with standard paper filter material to catch small particles without interrupting fuel flow. They are treated with rust proofing on internal and external surface. The capacity of a Toyota genuine Muffler is appropriate for each model. They are equipped with a resonator to reduce noise pollution and are made from stainless or galvanised steel adding to their durability. 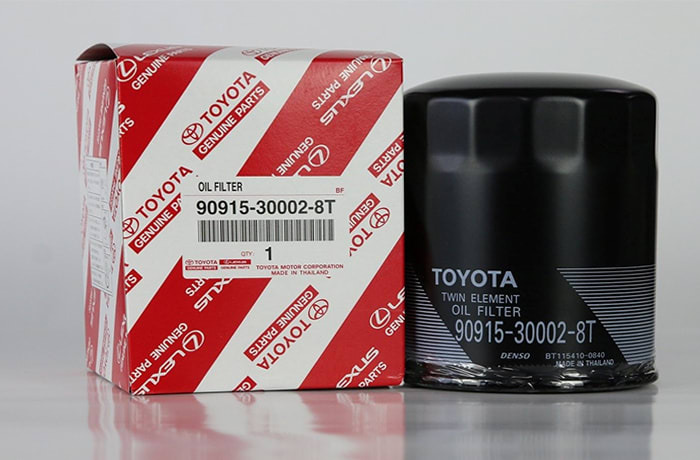 Toyota genuine oil filters contain a dual-textured element rough on the outside, fine on the inside which filters particles effectively and resists clogging. Non genuine oil filters can be thin ,finely meshed and prone to tearing and clogging. A Toyota genuine oil filter for diesel engines, effectively filters carbon. Non genuine oil filters may fail to filter carbon using the oil to become dirty. This results in black smoke emissions, increased fuel consumption and engine damage. 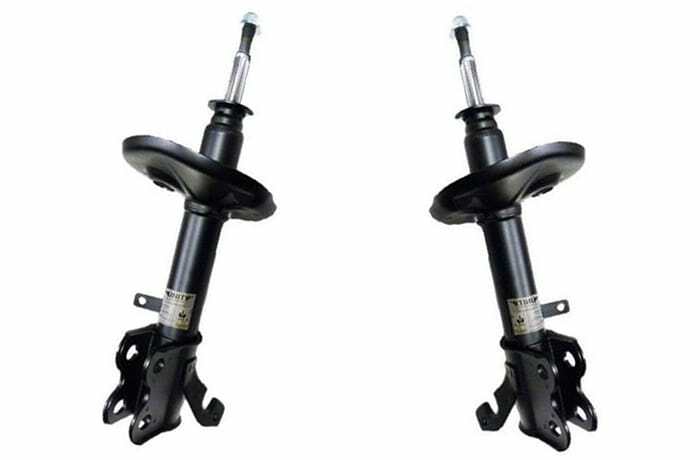 Toyota genuine shock absorbers are specifically designed for each model. The shock absorbers are highly rust resistant as the cylinders have special coatings and spring sheets made from corrosion resistant steel. 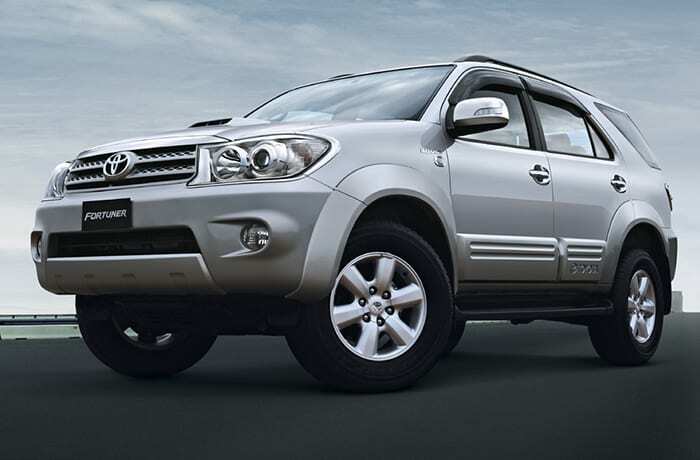 Toyota shock absorbers include Teflon processed piston bands and piston rods, galvanised with hard chrome or bearings. Toyota genuine spark plugs prevent interference with on board electronics. The company uses reliable materials and precise construction to create spark plug housings resulting in stable performance and long life. 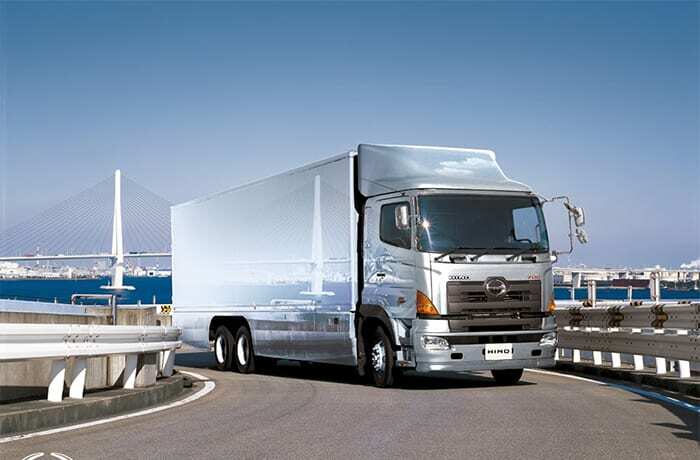 The basic configuration for raw-edged belts, strong gripping power makes it suitable for passenger cars and small trucks multi-ply. Layers of bias cloth are added to the plain belts to make it last longer. A corrugated underside decreases energy loss caused by bending, because even larger size belts are flexible. Cogged V-belts are often used for diesel-powered vehicles such as trucks and buses. These are thinner and have a larger contact area than raw-edged belts, increasing their flexibility and efficiency in transferring power and is suitable for small and high performance engines. 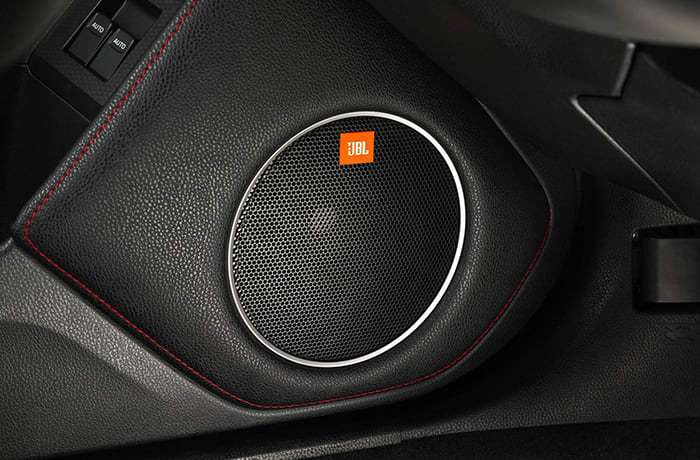 Whether you're interested in enhancing performance, styling or protection, only genuine Toyota accessories give you complete confidence and peace of mind in the way you have chosen to personalize your Toyota-because only genuine Toyota accessories are specifically designed, engineered, tested and approved for use on each Toyota vehicle. You can help protect your vehicle's exterior with bull bars, nudge bars, headlamp/bonnet protectors and weather shields, which may help preserve its resale value. 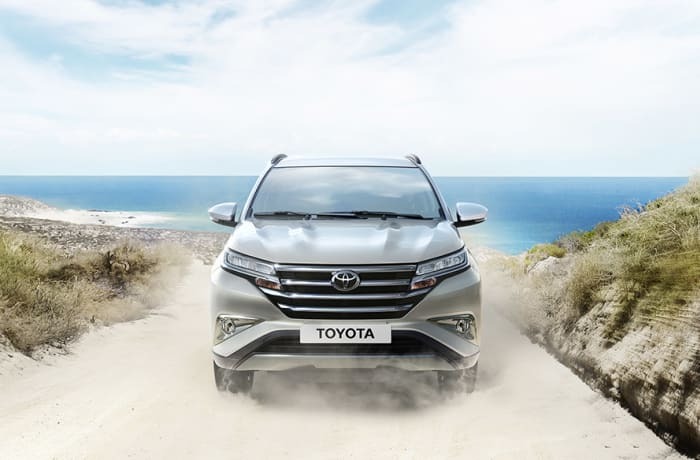 A range of Toyota genuine accessories, such as roof racks, tow bars and alloy wheels, are also available to make sure your Toyota meets your lifestyle needs and style. From the moment you drive away in your new Toyota, you want to maintain that 'good as new' feeling for as long as you can. 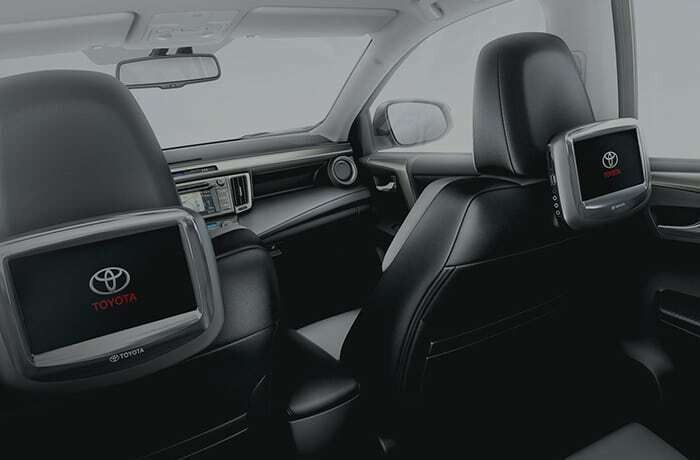 To keep your car as new as possible, you can explore a range of protective Toyota genuine interior accessories. These include seat covers, carpet and rubber floor mats, cargo mats and more. These interior car accessories provide the additional benefits of making regular cleaning easier and also of helping to maximise the resale value of your Toyota by keeping it in the best condition possible. 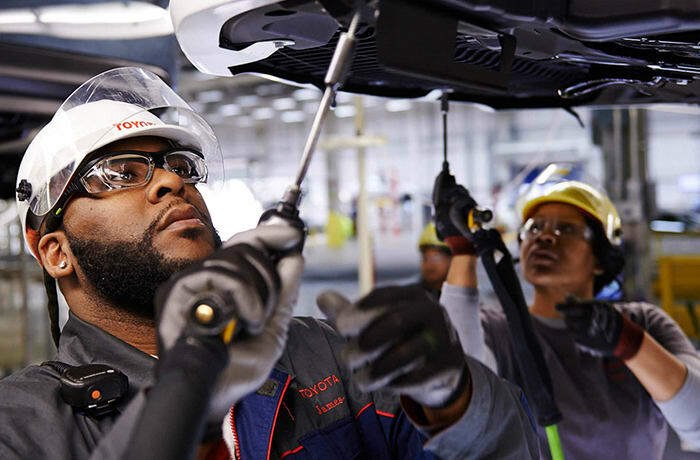 Every single Toyota genuine accessory is designed and manufactured to comply with Toyota's engineering and testing standards, which is reassuring when you're on the road. Their team will take the time to make sure that they find the right vehicle to suit your lifestyle and budget. 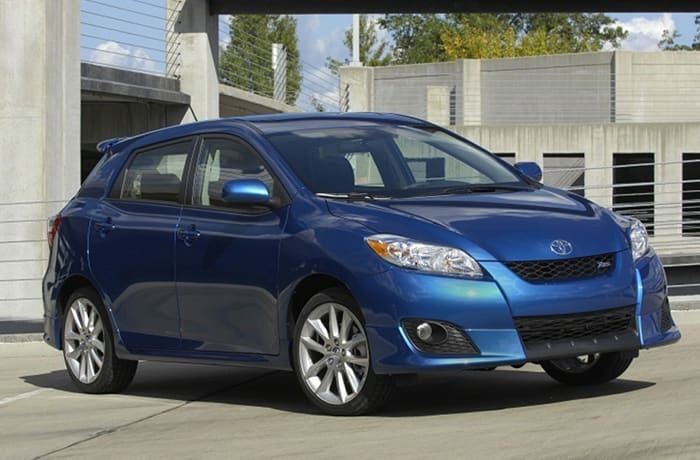 All used Toyota cars, trucks, SUVs and hybrid vehicles are checked by an Enterprise certified technician and must pass a detailed inspection to be a certified used vehicle.